This is the last in a series of five posts on the role of the angels in our lives and in creation. 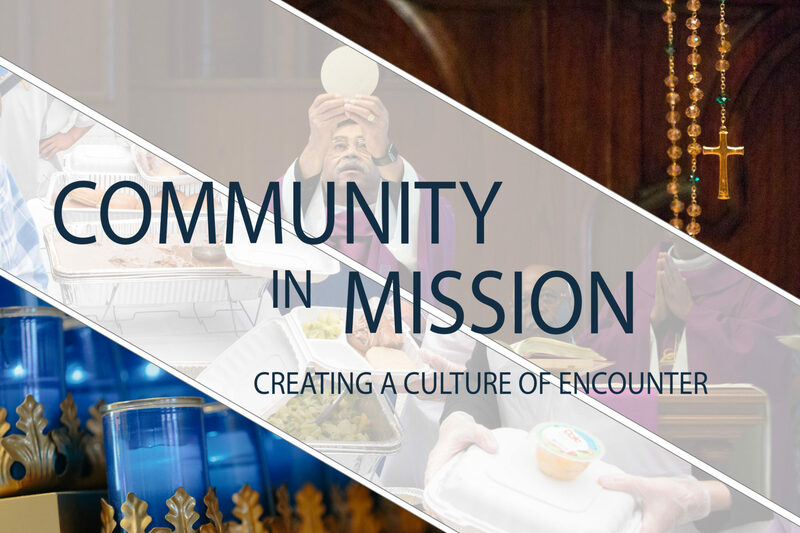 The content of these posts comes from a series I have been teaching at the Institute of Catholic Culture on the mission of the angels. Angels are ministering spirits mystically present and active throughout creation, in the events of Scripture, in the liturgy, and in our lives. I encourage you to read Cardinal Danielou’s book. It is relatively short (a mere 114 pages) and packed with stirring and edifying accounts of the works of the angels according to Scripture and the Fathers of the Church. In this last post we consider the role of the angels at the parousia (the second coming) and the glory that awaits those who have been faithful. The final chapters in the Cardinal’s book, on the eschaton (the last things) and the parousia, are particularly magnificent. I would like to distill them here, adding some material and reworking it just a bit. However, the assembling of the material is fundamentally his. I hope you will be stirred with as much joy and zeal in reading this as I was in preparing it. We must soberly admit our need to be ready, by God’s grace. If we are, what glories await us! The “great and terrible day of the Lord” will indeed be great for those who have allowed the Lord to prepare them. The Second Sibylline Book, a Christian work, describes the archangels shattering the gates of death and raising up the bodies of even those who had been drowned in the sea or devoured by savage beasts (Sib, 2:214–235). The Son of Man will send his angels, and they will gather out of his kingdom all causes of sin and all evildoers and throw them into the furnace of fire; there men will weep and gnash their teeth. Then the righteous will shine like the sun in the kingdom of their Father (Mat 14:41-43). When … we have begun to enter the holy place and pass on to the promised land, those who are really holy and whose place is the Holy of Holies will make their way, supported by the angels and unto the tabernacle of God. … They will be carried on [the angels’] shoulders and raised up by their hands. The last enemy to be destroyed is death. “For God has put all things in subjection under [Jesus’] feet.” But when it says, “All things are put in subjection under him,” it is plain that he [the Father] is excepted who put all things under him. When all things are subjected to him, then the Son himself will also be subjected to him who put all things under him, that God may be everything to everyone (1 Cor 15:26-28). Jesus ascends there, with all the members of His Body (body and soul) joined to Him. He ascends to the throne as Unus Christus, amans seipsum (one Christ, loving Himself). Though co-equal to His Father in glory and majesty, He is delighted to hand over the Kingdom of His Body, the Church, to His Father, who is (as Father) the Principium Deitatis. On that day, the joy of the friends of the Bridegroom [the angels] will be complete. They have led to paradise the souls of the just who are entrusted to them. They have kept watch over their mortal remains. But [for now] they still await the day in which the Bridegroom will come to look for his Bride, when her beauty is finally perfect, in order to lead her into the House of his Father for the eternal wedding feast (p. 114). Thus, we shall always be with the Lord (1 Thess 4:17). What a marvelous series and a lovely topic to explore during troubled times. When my son was three, he told me about a dream he had. He said an angel told him that the angels get to push all the buttons in heaven. Even if it was just a formulation of his little mind, the image of angels pushing buttons in heaven fills me with hope and delight. Thank you for your inciteful posts! I wonder if you ‘really’ meant INSIGHTFUL’ . . . ?? Mind you – you, I and we all could do with being ‘incited’ more to deeper faith in our Lord and the wonderful ‘support system’ He has set up around us all from the beginning of the world! Thank you, as ever, Fr Charles, for your insights – and for inciting me to greater efforts in prayer and faith and to look forward joyfully and eagerly to the Lord’s return in the company of all His mighty Angels on that great day!! God bless, Paul – and all . . . . . .
Set free – meaning, all sin ends. Can you imagine how awesome it would be to be confirmed in grace? To live eternal Life in the Kingdom where there is no sin. Not – one – more – sin! No more of this madness, confusion of mind, and spiritual blindness, laying waste to poor souls! The devil, and his off spring may have their “hour,” but the great and terrible Day of the Lord is coming. Come, Lord Jesus. Come. Thank you for giving attention to the interesting topic of angels, with your series in five parts. Modern science is in great need of a new humility towards Creation, with the Earth and humankind to be placed once again, it is to be hoped, at the very center of the cosmos. Then, instead of modern science to disclose every gap in human knowledge, it is also necessary to understand that it is God’s angels that truly bridge the ever growing gaps. I think, sciences can be classified according to the trivium, the quadrivium, and natural history. The trivium is grammar, logic, and rhetoric. Those have to do mainly with the soul of reason. Human language, with nouns, verbs, personal pronouns, modus, and casus allow us to study the four causes and existence itself. It seems to me that the material cause is noun-like, the formal cause is verb-like, the efficient cause is personal pronoun-like, the final cause is casus-like, and existence itself is modus-like. Those also relate to the five ways to prove God’s existence. With the rational soul of trivium, the human being has free will relative to the other human being. Thus the human soul, with its liberty, bridges a kind of gap unto the other. With our classification of the natural world, we give nouns to natural history, and we give verbs to phenomena of motion, and so we know about angels. The quadrivium is geometry, arithmetic, astronomy, and music. It has to do mainly with the soul of motion, related to verbs. In classical mathematics, geometry and arithmetic can be incommensurable, and this carries over to the modern mathematical discipline of calculus, since one must terminate approximate calculations with some uncertainty. Astronomy comes to be modern physics, and musik, it seems to me, comes to be modern computer science. With incommensurability, physics can only calculate motions approximately, and computer science can not always terminate its own calculations. Thus the secondary causes so calculated are bridged by angels. Modern science needs angels to bridge the ever growing gaps. Natural history is geology, biology, and medicine. It comes to be modern chemistry. It has to do with nouns, being accumulation of facts of Nature. Thus every mineral, biological and anatomical species is an angel, I think, since the human being cannot with science comprehend it in all depth. The six days of Creation were as seen with the eyes of the angels. Thus Newtonian time is only an approximate, symbolic formalism to compare morions by the quadrivium, and Darwinian evolution is only a symbolic formalism to systemize natural history according to great many species. Please, remember that historical time began with Abraham, and that the first eleven chapters of Genesis are pre-historical. Thus those eleven chapters are pre-history, as seen with the mind of Abraham, or, as was said, with the eyes of the angels. It seems that our first parents, Adam and Hava, lived in southeastern Africa, perhaps two or three million mathematical years ago, and that the human being went through some evolution, with Homo habilis (Seth), Homo erectus (Enoch), and Homo sapiens (Noah). But for theological use, we cannot rely on natural science, since, quoting pope Benedict XVI, “spirit cannot be excavated with a shovel.” He also said, with Saint Augustine, that Christendom is “theologia naturalis.” For a true “theologia naturalis,” modern science needs angels. Thus, the trivium is fundamental also to the quadrivium and other sciences. The personal pronouns are especially important, confer Genesis 1:27. But the human being is not the only created person, angels guard us all. The human soul can only relate to the other human soul throgh the body. It seems also that angels are to be met with everywhere in the natural world. I conjecture that the Universe is created in the image of Our Lady Mary. Memory and Identity, by pope John Paul II, who says that the literal interpretation of Genesis and the actual existence of Adam and Hava must still be allowed in the Church, because our human dignity compels that. God and Reason (Gott und die Vernunft, not available in English) by pope Benedict XVI, and Laudato Si’ by pope Francis, about human life on Earth. In Danish, Kirsten Kjærulff has published books on Hildegard von Bingen and about angels according to catholic tradition. I am reading the latter. Most people are still not aware that Christendom is the best theory ever. Societies that continue materialistic pathways are in for bad surprises. Modern mathematical, medical, and historical sciences are piling up epistemological paradoxes that must be resolved with return to human dignity, religious hopes, and also angels, to bridge the ever growing gaps between the secondary causes that we comprehend and God’s Grace. Next PostNext Does God Approve the Abuse of Women?